It’s being imperfect, rather than perfect, that brands should focus on if they want to win over consumers. That’s the view of the team at Japanese ad agency, Hakuhodo, who spoke on day two of the Cannes Lion Festival of Creativity. Using the analogy of taste, and the fact that it’s imperfect taste that leads to the “perfect appetite”, the trio said brands trying to be too perfect may actually fail in attracting consumers’ attention. Hakuhodo’s touchpoint evangelist, Harujko Minagawa, said the danger with the growing reams of advertising technology now available to marketers is that they can get “carried away and insist on perfect”. Of course, creativity is isolation isn’t going to get brands anywhere. Marketers need to continually lift their game in terms of business economics to retain their level of influence. McKinsey & Co has used data from the last 16 years of Cannes’ awards to understand the economic impact of creativity. 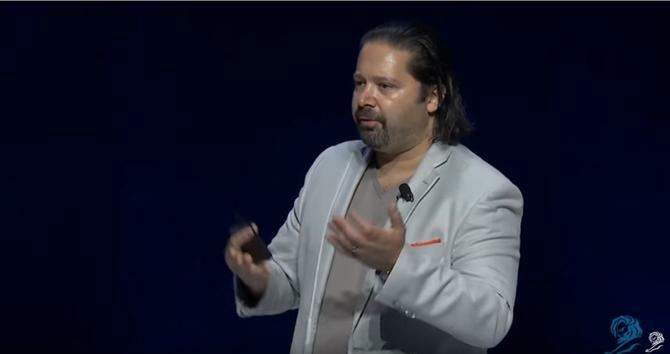 In his opening speech at the event, McKinsey partner, Jason Heller, said it’s clear creativity delights and inspires, particularly in the consideration phase with consumers. To gauge this, McKinsey attempted to create an index that shows creativity in terms of business performance. The proxy was Cannes’ data to create the ‘Award Creativity Score’, made up of three components: Number of Lions awards won over time based on level of prestige; breadth of categories; and consistency of performance. Three key financial measures are used to value performance in business: Organic revenue growth; total return to shareholders; and net economic value. Companies with a high ACS versus their peers exhibit a clear leadership in economic performance based on these financial metrics, Heller said. In addition, companies with a higher ACS had a 16 per cent lift in innovation performance against McKinsey’s Innovation Score index. Alongside the correlation scores, McKinsey identified four business practices across these top-performing organisations that help marketers get the economic bottom line to creativity right. The first is to hard-wire creativity into daily practices. This is about explicitly, including the agenda of creativity in what you do every day. More than one in three companies with higher ACS talk about creativity in board director meetings, Heller said. In addition, 70 per cent of these top-performing companies view and prioritise marketing spending as an investment, rather than an expense. They’ll even protect marketing spend in down cycles. There is an art and science to this as well, and Heller noted top-performing companies have a larger suite of tactics and methodologies to figure out what makes customers tick. “Those organisations with high ACS scores are fanatical about understanding their customers and their pain points and are doing something about it. It’s about operationalising insights into action,” he said. Heller’s third piece of advice was to embrace the need for speed. “That accelerated piece of insight to action and insight to revenue capture is incredibly important not just for marketing, but across the organisation. Marketing should be at the forefront of that, not riding on the coat tails of another transformation,” he said. Fourth on the practice list is adaptability. That means being iterative, using data and analytics, and putting practices in place where cross-functional teams can make decisions together. “It’s not a hierarchical process. Over time it’ll require organisation change but it’s initially a mindset change, and that will eventually invoke the behavioural change,” Heller said.